36 bright LEDs emit a multi-burst flashes alert other drivers to your presence. 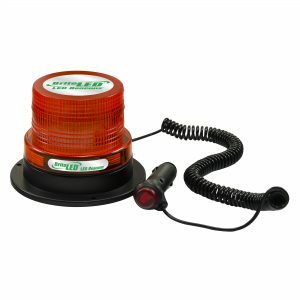 Easily installed and removed, the LEDBeaconz is great for everyday safety on work sites, jobs, deliveries, or commuting. A coated magnetic base protects the surface of your vehicle while the 12V cigarette plug has an integrated power switch for ease of use. Compatible with all 12V systems.